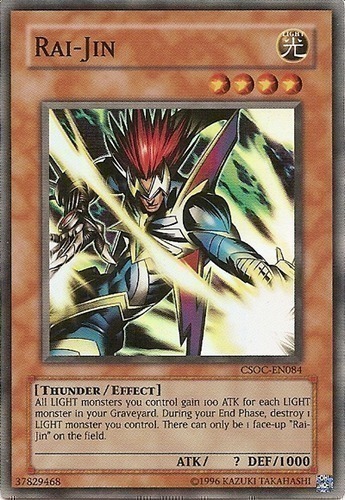 All LIGHT monsters you control gain 100 ATK for each LIGHT monster in your Graveyard. During your End Phase, destroy 1 LIGHT monster you control. There can only be 1 face-up "Rai-Jin" on the field.